If you want to leave a mark on your customers, then LED Screens are the perfect way to go. They are highly in demand and captivate audience swiftly. 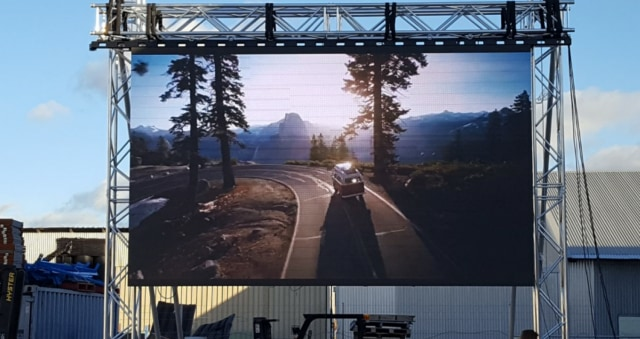 Big LED Screens are very effective for creating high-end brand awareness. They are versatile and resilient to all environmental conditions. The audience interest is looked after by reducing time consumption and the strong effect drive attracts pedestrians. For instance, curtain LED Screens are made to fit inside a window and is translucent. On the other hand, poster LED Screens are usually treated as banners because of their foldable quality. Large images and alluring content are naturally included in the display. The Custom Display should enable automatic temperature control as well as brightness adjustment. Colorful multimedia shows should not produce disfigured or deformed images. The bigger size is recommended for greater distance. Passers-by and drivers should be able to quickly comprehend the message. The LED Screen must not have messages scroll and should have prominent messages for everyone to read. Easy to read fonts should be chosen depending on the time of the day. They should be consistent, reliable and have a low drive current. Light emission should be highly intense and the response time should be short. The colored segments, temperature scale, and viewing angle must be compatible. Both passive and active protection should be enabled in case of Custom LED Screens. Cleaning should be done by a professional team, as gently as possible. Good ground protection and continuous power supply keep them functional. The control computer manages the operations of the screen. Check for any faulty wires and rest the device for at least 2 hours each day. It’s better to avoid a single primary color for long-term display. Strategically change the visual. The costs of the device are affordable and you have a chance to walk through several options and choose the perfect one for your settings. The Screens should be easy to use and there should be a warranty of annual servicing sessions. Lamps, ballasts, neon, and transformers should all be accurately checked and inspected. It is best to access a call-to-action number or customer-service contact information right at the beginning. The electronic drive circuitry and memory devices should function like new at the time of display.